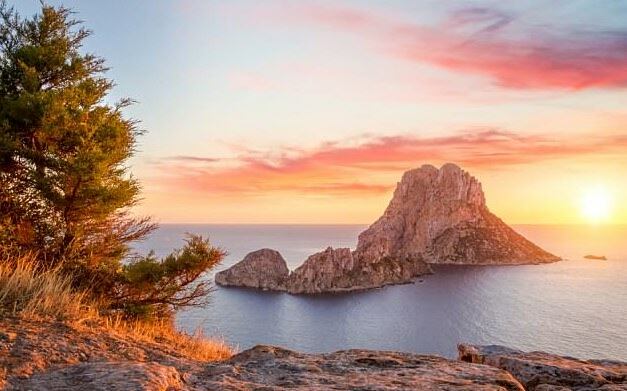 Ibiza may be notorious for its hedonistic parties and growing numbers of super-clubs, but the haute hippies are there to stay and the island hasn’t yet lost its cool… Here is the ultimate Ibiza travel guide. 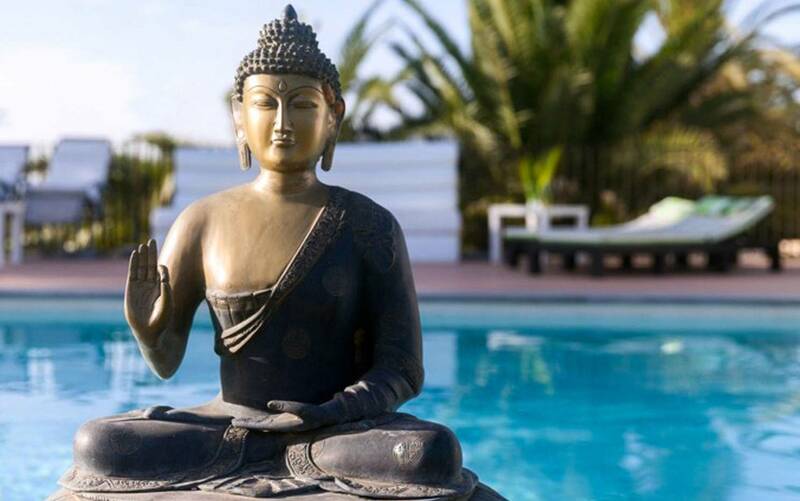 Depending on which way you turn on the island of Ibiza, you could be hanging out with the free-love hippies worthy of the Sixties or the all-night ravers popping pills until the Balearic sun rises. 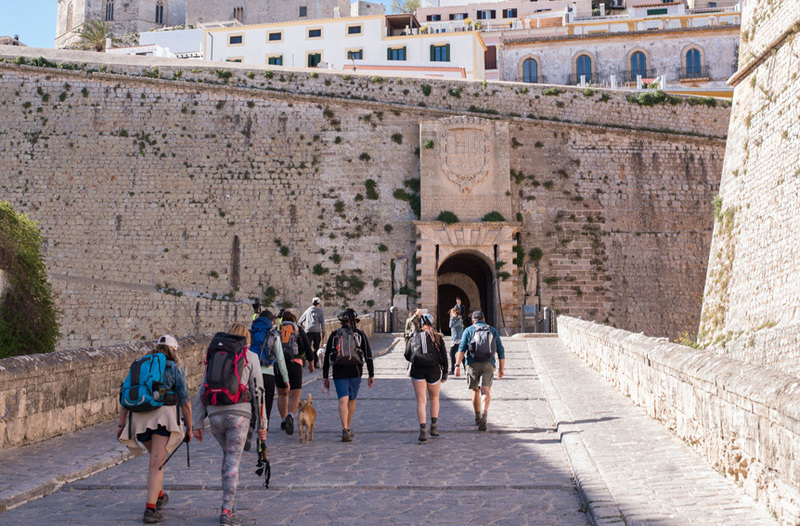 However, there is more to the destination than vomiting in San Antoni and not sleeping for days… With celestial sunsets, scintillating beaches and shameless hedonism, Ibiza is an island where halcyon days melt seamlessly into heady nights – it’s no wonder our love affair with this Balearic paradise continues to flourish. 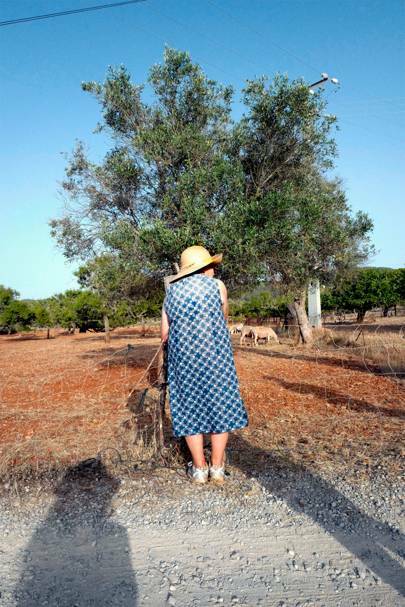 This summer, more than seven million visitors touched down on the white isle, some in search of up-all-night raving at one of the island’s many superclubs, others seeking solace in the bosom of its spiritual heartland. 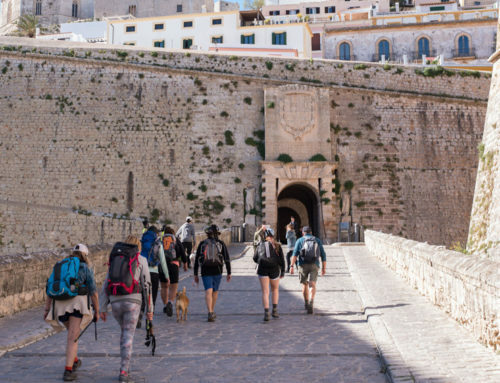 Regardless of motive, Ibiza offers something for everyone – so here’s the GQ Ibiza travel guide on how to get the best from this sparkling gem in the Med. 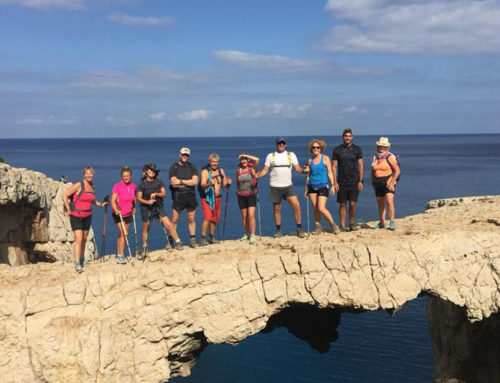 There is only one airport on the island and, with 7.4 million people dragging themselves through it in the last year alone, the lounge is certainly no yoga retreat. 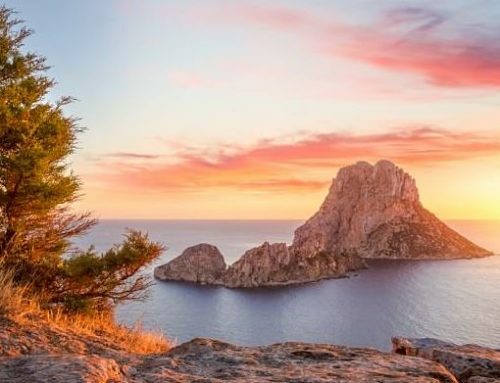 Dozens of flights land in Ibiza every day, releasing hundreds of drunk (probably…), travel-sick and over-excited partygoers from all corners of the world. 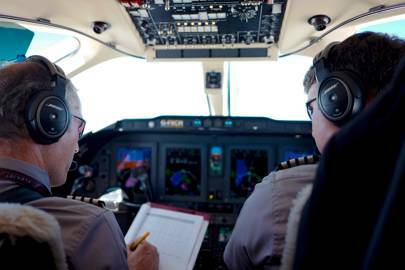 The only way to arrive on the island with any sanity remaining is by signing up to Surf Airimmediately – it’s the Uber of the sky, just with Champagne and better views. 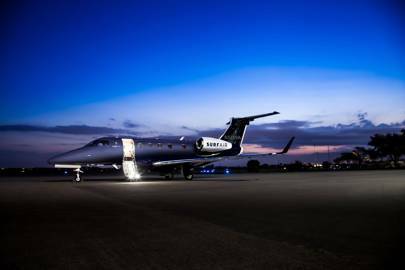 With regular flights from London to Ibiza you can arrive 15 minutes before your flight and avoid the riff-raff and all the faff. 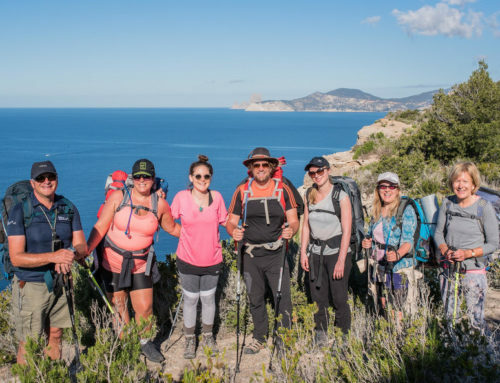 For utter relaxation, head for Pure House Ibiza (from €210), an agroturismo found up a dusty camino only ten minutes from the centre of Ibiza town. With just four rooms and an adults-only ethos, this chilled-out oasis is a little slice of unspoilt ibicenco heaven ideal for shutting out the rest of the world. Further north is Los Enamorados, a quirky hotel owned by a former fashion editor and basketball player. Hangout of the uber-hip, this is where off-duty models come during downtime, drawn by its Insta-worthy backdrop, eccentric décor and covet-inducing boutique stocked with curious knick-knacks and one-of-a-kind sneakers – we dare you to leave empty-handed. For a more epicurean sojourn, it has to be Pikes, the famed hotel once frequented by Freddie Mercury and George Michael. The labyrinth-like layout of this place was designed with mischief making in mind, and, of that, there is plenty – don’t be surprised to find yourself singing karaoke in a bathtub, it’s all part of the experience. Finally, for a dusting of metropolitan magic, it has to be Sir Joan(from €175), the newest addition to the famed Sir Hotels family, hailing from Amsterdam. Home to sophisticated design, hot young things and the best breakfast in town, it’s a favourite among Europe’s well-connected creatives. Dress to impress or be left out in the hot, humid night. 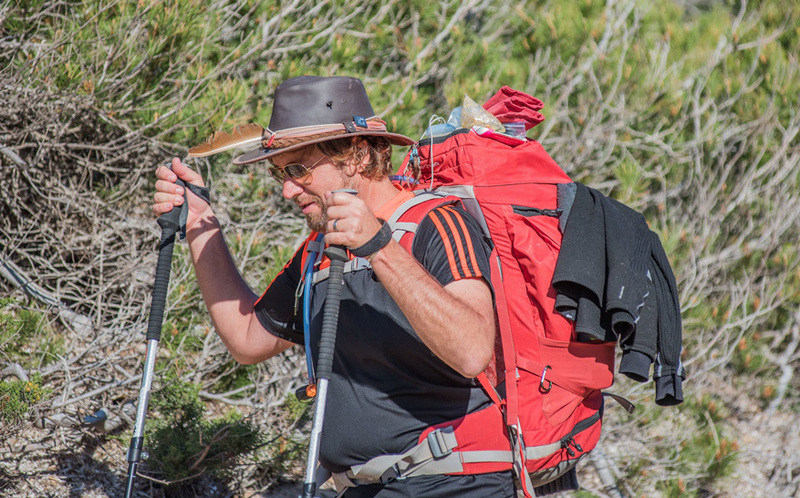 Unless you are keen for bass pumping through your room around the clock and pushing your way through the burning flesh by the pool for a lounger, head swiftly away from the San Antonio hotels and into the countryside. 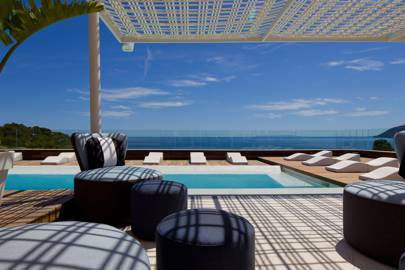 Aguas De Ibiza, on the East coast of the island, feels a million miles from the hedonistic party resorts: it’s the epitome of chill-out Ibiza – equipped with a Revival spa by Clarins, complete with rainwater showers and full body massages that will force you to forget all about the dirty shots you did last night. As the next party plane lands and the San Ant crowd get riled up for another night on the tiles you can relax in the knowledge that you’re safely away from a bottle of vodka with a giant sparkler stuck to it. 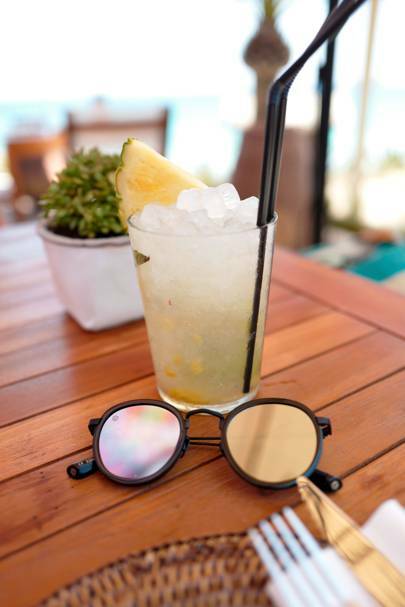 Sit by the pool with its underwater speakers, sip a frozen Kiwi mojito and take in the views over Santa Eulalia Marina. 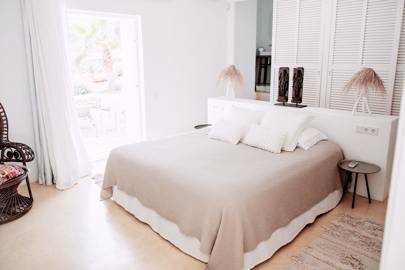 If you like a bit more action on your doorstep and you want to be able to roll from Ushuaia into your bed, Hotel Playa De Bossa Flow is a perfect middle ground. Playa d’en Bossa boasts some of the most notorious clubs and the longest beach on the island. This hotel may not have floor-to-ceiling marble and dry stone walls but there are dreamy sun-loungers, cocktails, palm trees and they boast a great full English to nurse any hangover. Nurse yourself back to life post-head-splitting hangover at The Skinny Kitchen in San Antonio, where the menu is chock full of hearty delights, including the standard filthy fry-up or more saintly protein pancakes. Racó Verd (racoverdibiza.es) on a roadside in San José also does a great range of Mexican-inspired fare perfect for revival purposes. In the afternoon, embrace that most appealing of Spanish traditions: the long, lazy lunch. Yemanja on Cala Jondal and Beachouse in Playa d’en Bossa both excel at this. Order a jug of Sangria, sink your feet into the sand and watch the hours pass by in a dream-like haze – there’s no point rushing when the rest of the island is taking siesta anyway. For dinner, don the fresh threads and head to Nobu in Talamanca for some deservedly famous black miso cod; check out newly opened Izakaya for Japanese fusion cuisine served with a dollop of Dutch cool; or keep it low-key at El Chiringuito by Night by night on Es Cavallet, where a starlit sky and the sound of tumbling waves create the ambience for a romantic feast. 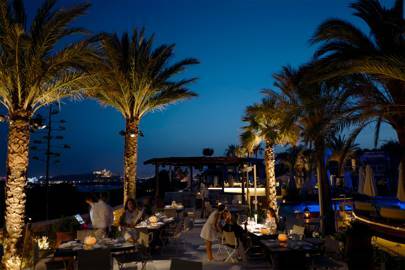 Choosing a dinner destination in Ibiza is not an easy decision. where arty restaurants, beach clubs and traditional tapas bars – anything that you fancy will be somewhere nearby. 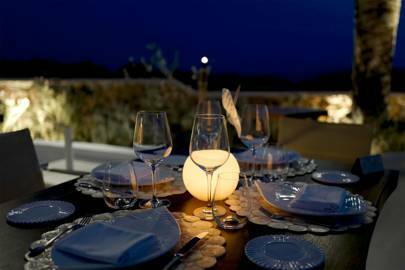 With amazing views over the Mediterranean sea towards the island of Formentera, Destinoboasts food to rival any of the islands restaurants and is the perfect place for an al fresco dinner. Every aspect of Destino makes it an experience, not just a meal. You can spy on the Michelin star chefs preparing dishes and enjoy the original performances knowing that there will not be a karaoke singer in sight (phew). If you are going to “do Ibiza” properly then get dressed up, spray something spicy and strut down to STK. 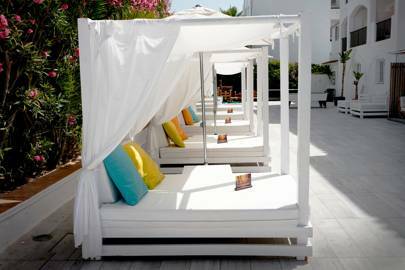 Like other big names in Ibiza such as Lio, Destino and HII nothing at STK is done in half measures. 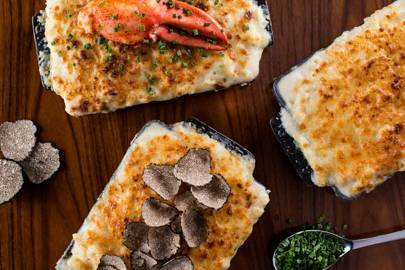 While you sit comfortably in seductive lighting, indulging in lobster and truffle mac and cheese, you can watch dancers float and shimmy between the tables while guest DJs keep the energy high. Even with mini burgers and Royal Caspian caviar on the menu, it is the steaks that are the clincher for STK (clue is in the name). With nine different cuts, the menu has everything from 180g feather cuts to the 10kg Flintstone Rack. Top yours off with foie gras, shaved truffle or grilled king prawns. If nearly naked woman gyrating over your table and posing on a red carpet isn’t your thing, then dust off the hired moped and head towards the beach. 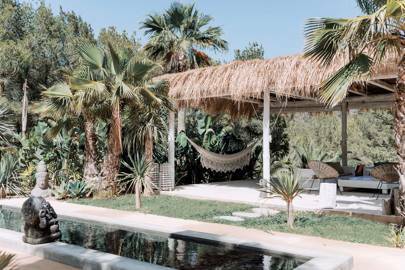 Jump back into rustic, boho Ibiza where shabby-chic trumps marble and the vibe is more feet-in-the-sand than strutting around on the dance floor. Aiyanna which is located in the North East of the island is the new sister restaurant of an old favourite – Amante. With its unassuming and rustic vibe, you can enjoy the unspoiled coast with a fresh and fully organic lunch. Aiyanna. No trip to Ibiza is complete without ticking off a quintessential sunset, and nowhere does that better than La Torre in Cap Negret, where nature’s finest moment is soundtracked by the hypnotic purr of Balearic beats. In Ibiza town you’re spoilt for choice with an abundance of first-rate bars. Montesol on Vara de Rey actually claims the title of Ibiza’s first hotel, opened back in the Thirties, but it’s the art deco-inspired bar that really pulls a crowd, particularly on Friday nights, when speakeasy vibes and classic cocktails make it a must-visit for seeing in the weekend. Elsewhere, there’s rooftop favourite Tira Palla, which demands a precarious climb up several flights of stairs but leads you to arguably the island’s best Mojitos and unbeatable views of the bustling town below. Then there’s Can Terra(canterraibiza.com), where a glass of wine and a “pintxo” (small bite to eat) cost as little as €1. (Note: this can result in speedy inebriation.) In neighbouring Figueretas, cocktail connoisseurs make a beeline for Baboon, a bar that houses expert mixologists who’ve honed their skills across the globe. A mecca for the musically minded, on Ibiza there are no shortage of venues for the techno-loving, dance music enthusiasts among you. 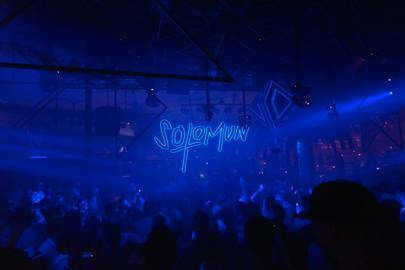 As the oldest club on the island, Pacha still draws a massive crowd, particularly on Sunday nights when Solomun takes to the decks. Elsewhere, Monday nights at Amnesia are unmissable thanks to techno god, Sven Väth – quite possibly the most charismatic DJ on the planet. You can also start the week with Circoloco at DC10, which remains one of the island’s most respected underground parties, and where the crème de la crème of electronic music talent convene. Get there early to soak up the raucous mood in the garden; this is a clubbing rite of passage. 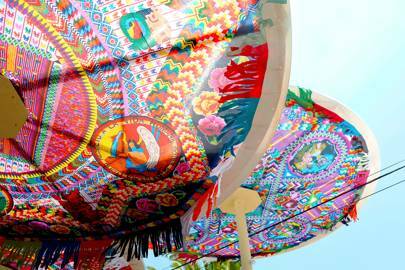 For an alfresco festival vibe and the biggest EDM stars head to Ushuaïa in Playa d’en Bossa, while over the road HÏ is making a name for itself on the former site of the much renowned Space, which closed for the final time in 2016. 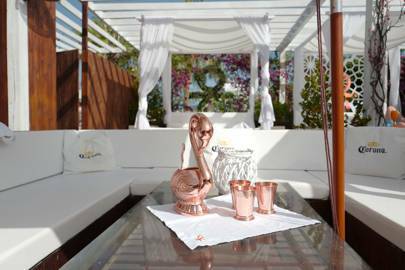 If daytime partying and champagne popping is your thing, you can’t go wrong with Blue Marlin, playground of the ostentatious rich and famous. Even if the idea of superclubs turns your stomach, you can’t visit Ibiza without dancing in the longest standing and most notorious venue on the island (even if it’s just to say that you did). Pacha is synonymous with Ibiza, and the islands favourite nightspot doesn’t look to be losing its title any time soon. 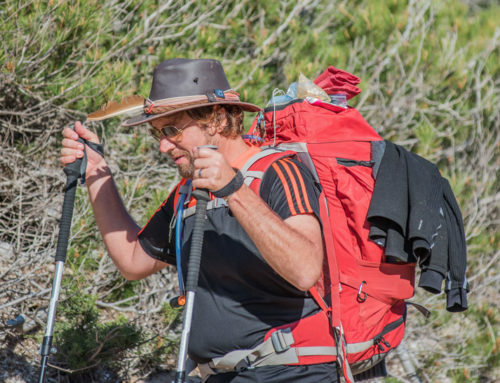 Ignore the bank balance for a couple of hours – this is the one not to miss. 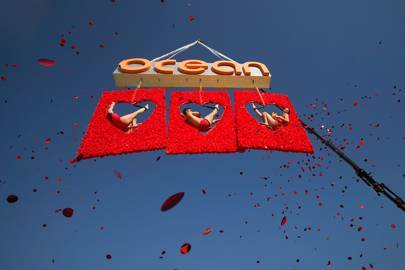 If you do have to go to a day party (god forbid) and if you do have to go to San Antonio (prepare yourself…) then make sure that you book a bed at Ocean Beach to get yourself into the spirit. There are aerial acrobats frolicking above the 600sqm pool, fresh sushi served to your own huge day bed, poolside massages and personal hot tubs. Nobody can truthfully say they don’t enjoy lounging in the Balearic sunshine with their best trunks on, drinking cocktails and watching minor celebs dancing in a swimming pool. There are more than 50 beaches hugging Ibiza’s coastline, so it’s well worth setting aside time to hunt out your favourite collision of sea and sand. 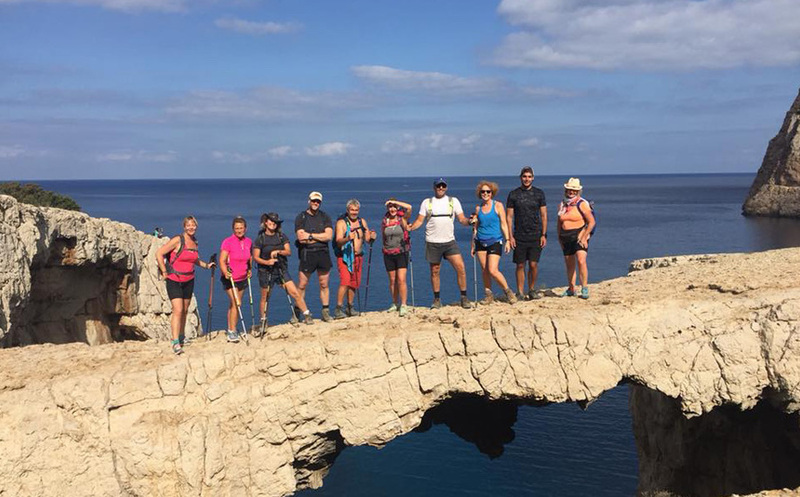 One way is to hire a private boat (try smartcharteribiza.com), so you can reach some of the more isolated coves while simultaneously fulfilling your ultimate baller fantasies; another is to embark on a hike with Walking Ibiza, where guided tours give you a new perspective of the island’s rugged beauty. If spa treatments and sun loungers are more your thing, try Atzaró, where you’re pampered amid the zesty smell of orange orchards, or head north to Haçienda Na Xamena, which boasts the kind of jaw-dropping vistas and infinity pools guaranteed to leave people at home sick with envy. 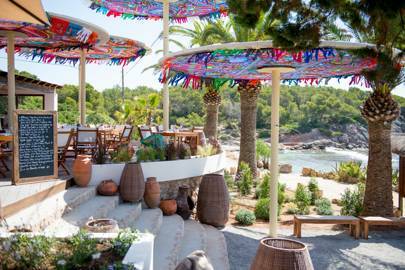 To experience the “other side” of Ibiza, head to Benirràs on a Sunday evening, where the relentless pulse of tribal drumming may well rouse your soul – or potentially just your desire for another drink. 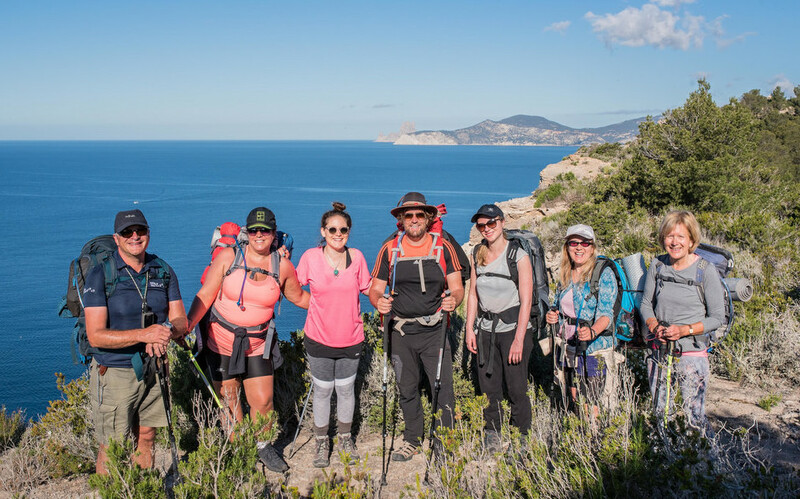 Ibiza has much more to offer than drunk “guiris” swallowing pills while reminding each other that “what happens in Ibiza stays in Ibiza”. The island is full of white-walled villages, hippy markets, artisan stores and there are plenty of places to detox. The Wellness Source offers retreats that promise complete relaxation and rejuvenation. 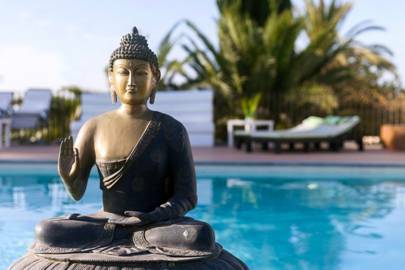 Think yoga at sunset, raw plant based meals and indian head massages by the sea.